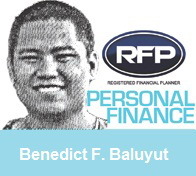 PINOYMONEYVANTAGE | Personal Finance in the Philippines: Still Have No Money? : A Short Overview of Personal Finance. A few weeks ago, I was browsing this popular Filipino website and forum which is full of anonymous people from all walk of life sharing their thoughts and insights in this social network. In my curiosity, I checked the personal finance thread that is full of different credit card applications topics, how to get loans etc. but not much on financial literacy topics such as business or entrepreneurship, proper money management thread in which I am a bit saddened. There is one particular wherein a guy in his 30s has a dilemma on what is happening with his current personal finance. The thread starter has zero (0) savings, no investments and may have little or no knowledge of handling money at all as I presume. He has been asking and receiving advices from people or strangers and I eventually read their posts of these anonymous people who are actively discussing that thread on how to properly money management and finances wherein they have given their insights about the topic which I considered somehow helpful and I participated and engaged in the discussion and expressed my opinions on that thread just to help gentleman who needs the advice. During a recent Consumer Finance Survey (CFS) conducted by Bangko Sentral ng Pilipinas, showed that there are about 4 of 10 households do not have any cash on hand to be used in case of emergency, while 6 of 10 households have very little cash to be used. Average cash on hand of Filipino families that may be used for emergencies stand at only P1, 681.00 only. This also showed that some are inclined to deal with informal moneylenders, which may include loan sharks, to finance their needs wherein one out of 10 respondents said they have dealt with moneylenders. The data covered and collected with the 10,520 participating households nationwide was from November 2009 to January 2010. The reports showed that partly to lack of or no income. Also, no of access to banks and the high tendency of Filipinos to spend first in gratifying their needs instead of saving or investing greatly influenced the results of the survey, according to the BSP report (April 2012). The Philippine Stock Exchange conducted a survey on how many participated in stock market trading in a year. There is only less than 1% of a population 89 million Filipinos participated in stock market, “said Mr. Francis Lim, former president and CEO of Philippines Stock Exchange. Compared to other ASEAN and first world countries there are 15 to 25% of their population are actively participate in stock trading. (Less than half of 1% of Filipinos invests in stock market, PSE study confirms, Philippine Stock Exchange Press Release, 16 June 2008). The Philippines Stock Exchange have been engaging in Philippine Road Show in 2010 and 2011 in various parts of the country in order to promote the advantages in investing in Philippines stocks. There are no current figures since the 2008 survey on the increase of stock investors in our country. The Philippines still has the lowest insurance penetration among ASEAN nations, with barely 1.04 percent of the population covered in 2011, according to the Insurance Commission (IC). Filipinos see it as an added cost or expenditure even amidst the recent calamities we experienced in spite the massive promotion and campaigns. However, it has seen slight growth this year with majority of people availing Act of Nature (Force Majeure) premiums on their non-life insurance policies. Has PERA Law already taken effect? The Republic Act 9505 or Personal Equity Retirement Account Law (P.E.R.A.) as most people call is almost similar to the 401K Retirement Saving Account in the United States. It was passed in 2008 to encourage Filipinos to save for their retirement. It has seen many delays from creation of IRR due to the complexity of operations of this law. Currently, Bangko Sentral ng Pilipinas (BSP), Securities and Exchange Commission (SEC) and private sector are working on completing the administrative regulations of this law by the end of this year 2012 according to a one high ranking SEC official. The private banks and other financial institution are still waiting for their approval from BSP to become PERA administrators. Once approved it will available in the market. As for the minimum monthly contribution, insurance and certificates, it will depend on the PERA products offered. Aurora Rep. Juan Edgardo Angara filed House Bill 490 or the Financial Literary Act of 2012 to encourage the development of financial literacy programs in public and private educational institutions. The purpose of the bill if passed into law will help the youngsters prepare themselves to be better equipped with financial know how on their adulthood. The proposed law is promising and that simple financial planning must be taught first at home by parents by training them simply to save money, know and differentiate between wants and needs and explaining them the purpose of the exercise in order to inculcate to them in times of rainy days. Financial Planning are not taught during academic formation from elementary to college it is learned from trial or error. In the past few years, there are rising cases of people being conned and scammed with Ponzi schemes, HYIP, Pyramids just to name a few that hit the streets. There are scores of people being lured and victimized with this modus operandi. Investigations were conducted by our law enforcement agencies and some perpetrators where behind bars or awaiting trials. Some may have escaped, but the long arm of the law will take them. The lures of high stakes give people into this tempting offer (To good to be true) and promise of a higher yield or get rich quick schemes and easy money attitude. When greed takes over, a person tends to lose focus on his objective. In the end, people pay the price of losing their money and other possessions. Prospective investors should be aware and make careful research on where they invest their money. Greed should not take over you. As I analyze the situation of the thread starter, it is usual from ages of 20 to 35 to be considered under wealth accumulation stage wherein they should be saving for something, getting married and eventually start to raise a family. I felt the same thing in his shoes a few years ago when I don’t have resources to work with after leaving my first job and little savings. To tell you frankly, I really have no basic knowledge of investing except in saving a little of my money in banks, having little cash on hand and no background in running a business, no life insurance. Financial education and literacy is the solution to this problem. Being equipped with this, I believe financial literacy and education can tremendously help us in investing on any instruments available in the market. The need for incorporating it into in the curriculum of our education system would seem farfetched for now but will be beneficial for our children in the future through the bills imposed by our lawmakers (congressmen and senators) are still on the work will generally help the average Pinoy to save, invest and earn at the same time. Getting you educated on how to do invest right from free to paid financial planning seminars, stock investment seminars, reading books and journals or surfing reliable internet source just to acquire this knowledge is useful. The need to take risks, having guts and being adventurous at times should be needed in order to become financial savvy person. Nice post! I myself am thankful that I stumbled upon financial literacy just a year ago. I never cared about money then, except to save for something then spend. Every Filipino family NEEDS to be financially literate. We do hope that this literacy rate would climb up years from now. I am sure little by little that Filipinos will become financially conscious and be knowledgeable in investment in the years to come. Let's all inspire and motivate all Filipinos to save, invest and live a life we are dreaming of - a financially free life. I have also a blog about personal finance. Hope you can visit mine, too. Thank you for very visiting. Keep me inspired in working well on other projects.